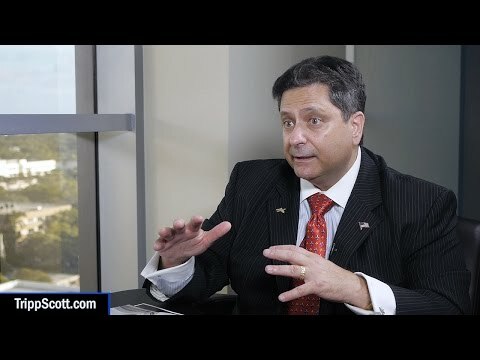 Dominic M. Calabro, President & CEO of Florida TaxWatch sits down with Ed Pozzuoli, President of the Fort Lauderdale based law firm Tripp Scott, to discuss the Florida Government Efficiency Task Force and other issues related to state and local government taxation, expenditures, policies, and programs. This is the latest in a continuing series of webinars I've been producing for Tripp Scott over the past 7+ years. For Tripp Scott, these videos are one of the most effective ways of maintaining close communication with their clients and subscribers. By featuring interviews with business and community leaders, Tripp Scott deliver compelling content targeted for their audience and establish themselves as a leader in their industry. Dan Perez is a multiple award-winning documentary filmmaker who has produced distinctive videos for diverse clients such as Miami Children's Hospital (now Nicklaus Children's Hospital), United Way, The Greater Fort Lauderdale Alliance, and the Law Offices of Tripp Scott.